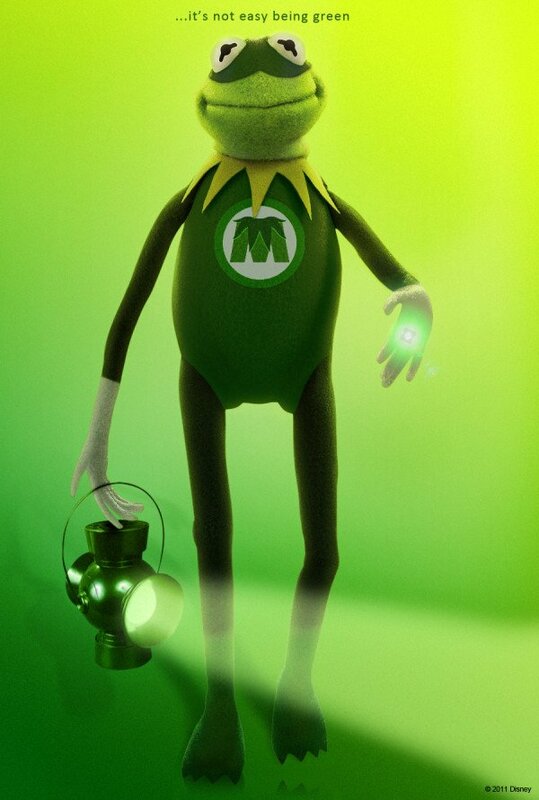 Jumping on the Green Lantern bandwagon is our old friend Kermit the Frog and The Muppets. This new 'Being Green' trailer starts with Ryan Reynolds doing a Kermit version of the Lantern oath and then jumps into the Muppet movie trailer with brand new clips. There's also a cool little poster beneath that!